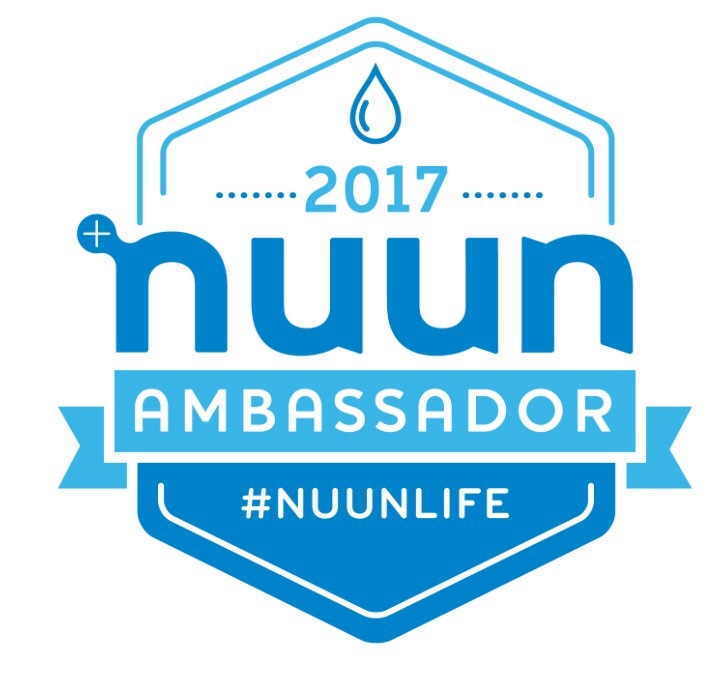 The New Year is well upon us and I am glad to say that I was selected to represent Nuun Hydration (pronounced ‘noon’) as one of their ambassadors! To say I was excited is an understatement, as I was just introduced to Nuun about six months ago. However over those six months I have hydrated with the various Nuun product offerings before, during and after my runs. So for those who haven’t heard of Nuun, actually wondering how you wouldn’t, they are the first company to separate electrolyte replacement from carbohydrates. What you mean I don’t need to ingest grams of sugar with my recovery drinks? Win!!! Well now they are the #1 company selling sport drink tabs. Yep I said tabs, because you drop one or two tabs in water and you have your drink. Simple as that! Over the years they have evolved and now have four products that they offer. Nuun Active – packed with electrolytes (sodium, potassium, magnesium and calcium, plus more) and clean flavor. The body absorbs fluids more efficiently with the addition of non-gmo sourced dextrose. Use of clean ingredients (plant based sweeteners) and ingredients to increase health benefits. Gluten free with NO CAFFEINE!!! 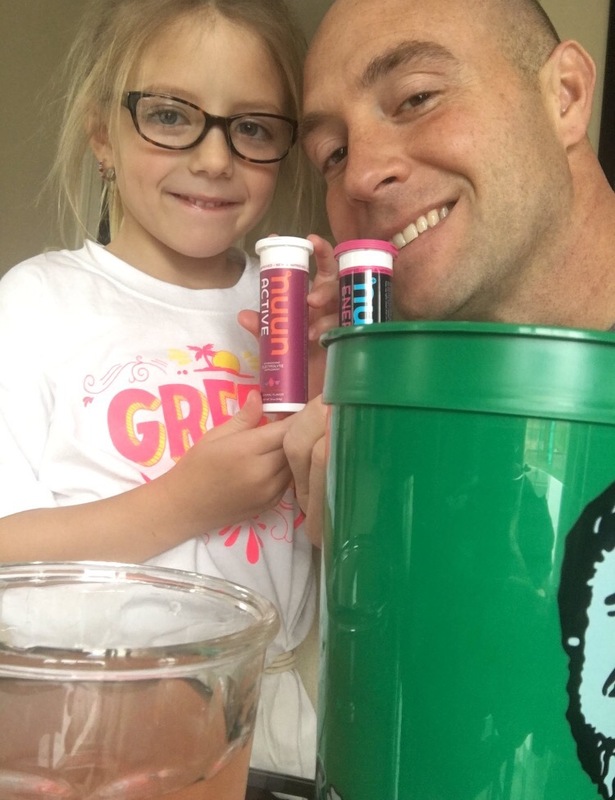 My daughter loves NUUN ACTIVE and will take half a tab!!! Nuun Energy – My pick me up if I need a lift. Provides the same hydration and addition of an energy boost with the caffeine, which is sourced from green tea extracts. Gluten free as well. Plus for Nuun – A unique blend of performance carbohydrates and electrolytes hydrate the body quickly and delivers fast energy. Use during intense and endurance exercises to increase nutrient absorption. Nuun Vitamins (NEW) – Drink anytime for daily wellness and hydration. Packed with vitamins from plant based ingredients and gluten free, vegan, soy/dairy free, and safe for clean sport, and low in sugar. I have tried two of the four products, but will be diving into the other two very soon. 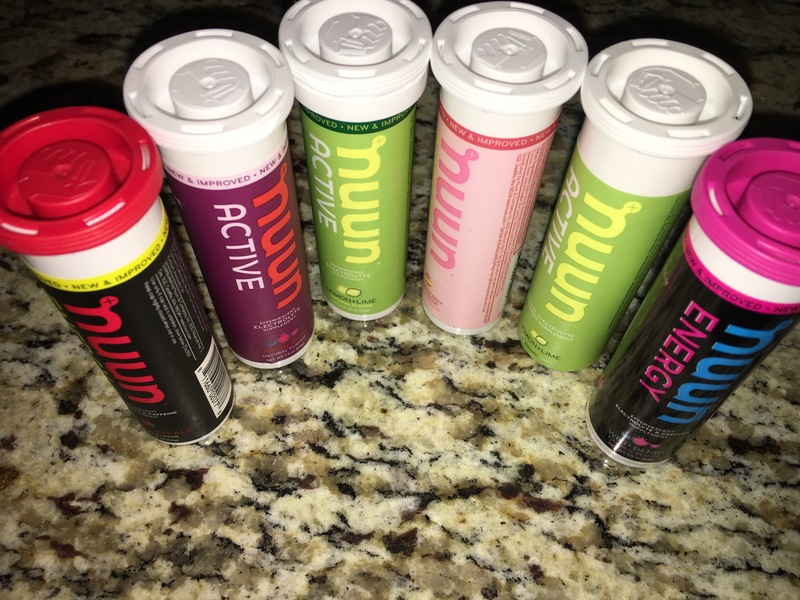 My hydration while running is increased when drinking Nuun. I also find that I enjoy drinking throughout the day to stay hydrated. As for the Nuun Energy I feel that the added caffeine will give me a lift, and I need to avoid drinking late in the evening. The tablets dissolve fairly quickly, and notice they dissolve faster in warm water. Nuun can be found in health and local stores or online at the following link. For some the taste may be different, but if my 5 year old daughter enjoys it, I am sure you will too. I can’t wait to try all of the products Nuun has to offer in 2017 as I continue my running journey. So do me, and yourself a favor and grab a tube of Nuun!! !